BRUSSELS, May 27. /TASS/. The NATO-Russia Council (NRC) meeting at the level of ambassadors will be held on May 31, a NATO official confirmed TASS. "A meeting of the NATO-Russia Council will take place on 31 May 2018. This is part of NATO’s twin-track approach of strong defense and meaningful dialogue with Russia," he said. "This will be the seventh meeting of the NRC in the last two years," he said, adding that NATO has suspended practical cooperation with Russia due to "its aggressive actions in Ukraine," but keeps channels for political dialogue open. 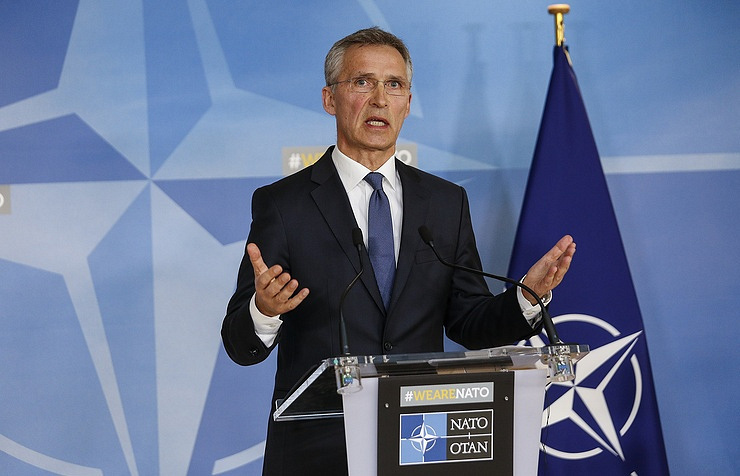 Earlier NATO Secretary-General Jens Stoltenberg said in an interview with German magazine Der Spiegel that the NRC meeting would be held on May 31. The latest meeting of the NATO-Russia Council took place in October 2017.